We moved from Raleigh, North Carolina to Glasgow, Scotland. Many local Glaswegians have asked us, "But why would you move here from such a lovely place in America?" Since Scotland currently is in the midst of a genuinely historic weeks-long wave of heat and sunshine, I usually answer: "We came for the hot and sunny weather" or "To get a tan." The locals laugh and assure me this weather won't last long. I know. In our first three weeks, I generally wore pants and often a sweatshirt or fleece vest. In summer. Enjoying the view on a hot and sunny day during a boat cruise on Loch Lomond. Truthfully, we moved to Scotland because Kate got offered a job as a Lecturer in the veterinary school at the University of Glasgow. How did she get that job? Quad on the main campus of the University of Glasgow. After completing her veterinary degree at North Carolina State University, Kate wanted to continue her studies with a residency in anatomic pathology. 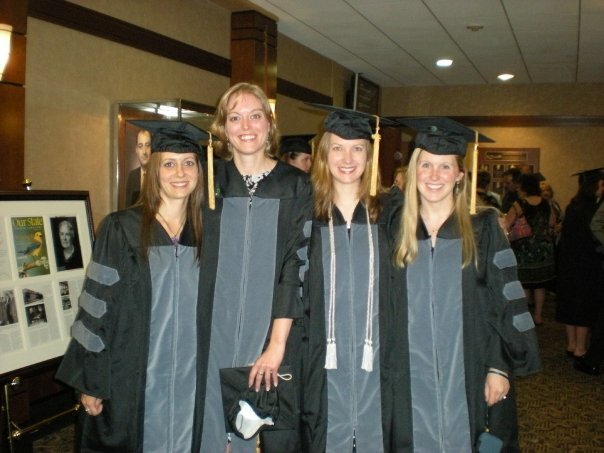 Kate (third from left) at graduation from veterinary school. The vet school, however, didn't have any positions or funding for a resident to start until a year after she graduated. The school wanted to keep her, so it arranged a deal with one of the major veterinary diagnostic companies to pay for her three years of residency if she then agreed to work for the company for three years after she finished the residency. The company had a local North Carolina office and we expected to be living in or near Raleigh for many years to come. But in the third year of her residency the company had financial difficulties and released Kate from her obligation, though it still paid for the residency. 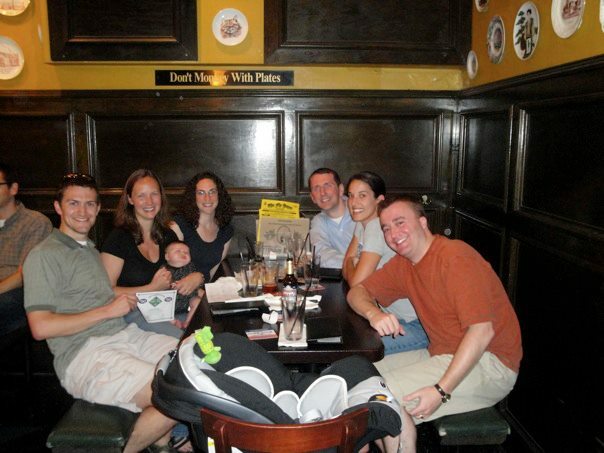 Taking our newborn baby to trivia night at the Flying Saucer in Raleigh with other vet school residents. Instead of having the next several years mapped out, Kate suddenly had the option of considering any job, anywhere. No more restrictions, no more boundaries. She buckled down and passed her board exam — the letters after her name are now D.V.M., D.A.C.V.P. (update: now they're D.V.M., D.A.C.V.P., M.R.C.V.S.) — and started looking to see what the job possibilities might be. She cast a wide net, looking for good quality jobs regardless of location. We considered options as far away as Singapore and Australia. Once we started considering jobs overseas, the jobs in America lacked a bit of luster. Ultimately, the University of Glasgow offered a job which would give Kate great experience with solid pay and the chance to live overseas and experience a different culture. Our toddler is several years away from school and easily moveable. 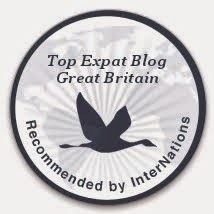 Living in Europe gives easy access and comparatively low cost to travel throughout the continent and beyond. Despite the professional, financial, and personal risks involved in making such a move, we would have regretted not taking the chance more than any of the risks involved. No regrets so far. Splashing in a puddle on a cool and rainy June day in Glasgow, along the Forth & Clyde canal. Hmm, is that because you make a begowned appearance in it?